Download HTML5, HD, HQ and 4K videos from YouTube. Vimeo, Facebook, VEVO, Metacafe, Dailymotion, TED, MTV, CBS, Yahoo Video, BBC, VH1, ESPN, WatTV, NBC, The NY Times, AOL, MegaVideo, Break etc. Download YouTube audio files directly. No need for downloading the entire video and then converting. Download any playlist from YouTube, including videos from a User Page, Channel, Category and Course. iMovie, iDVD(.mp4), iPod (iPod Touch 5 included), PSP, QuickTime(.mov), iTunes, iPhone (iPhone 5 supported), iPad (iPad mini available), Apple TV, Xbox 360, and more. Wondershare AllMyTube has a built-in FLV Player. Transfer videos through WiFi to play on your devices. 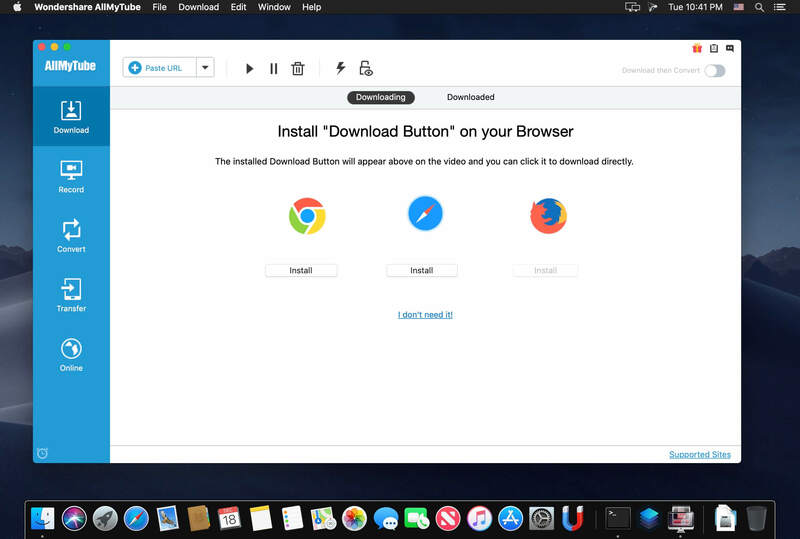 Three easy ways to download online videos directly: click the Download button that appears on the top of the video, copy the video URL and click the Paste URL button to download, or drag and drop URL into the icon of AllMyTube for Mac. Extract YouTube MP3 files from the videos directly without converting. 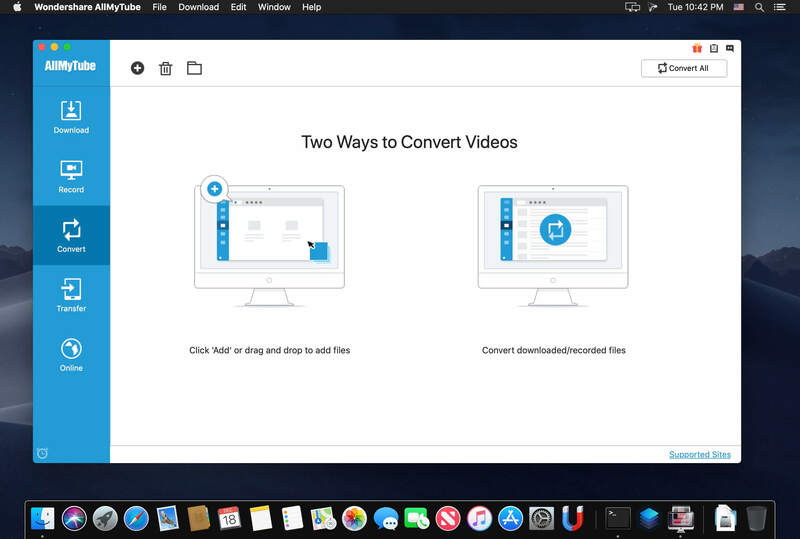 Now, automatically, or manually convert the downloaded videos to both standard and high-definition video formats, like MP4, AVI, MPG, WMV or HD MP4 (H.264, Xvid), HD AVI (Xvid) etc. 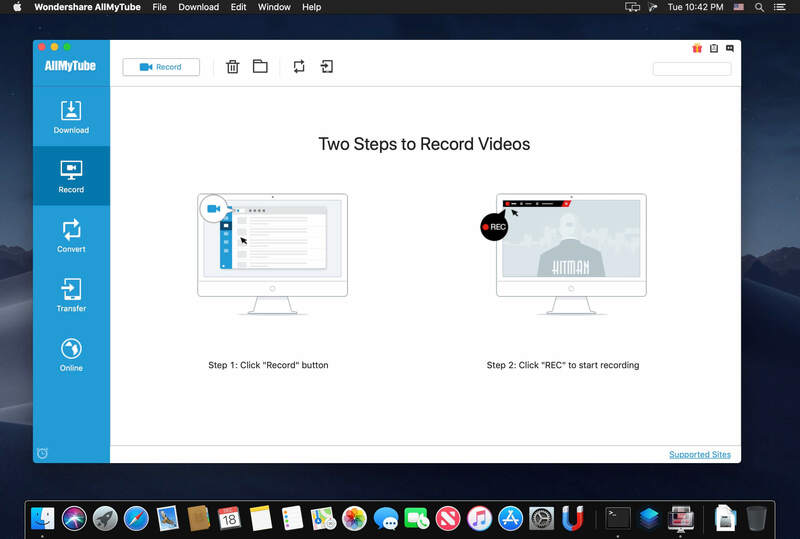 Built-in Video Player plays FLV, MP4, WebM videos on Mac freely. The program can also be scheduled for an auto shutdown, to enter sleep mode or exit program once it has finished downloading. Set the time period for video downloading also. Wireless transfer of your converted or downloaded videos to play on devices.